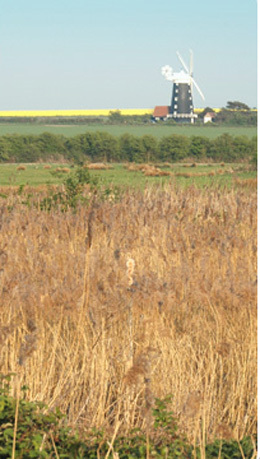 WE GROW the world’s most precious spice within sight and sound of the sea at our family’s North Norfolk smallholding. Norfolk Saffron consists of the rich, deep red stigmas from the current season’s flower crop, so it’s wonderfully fresh and potent. 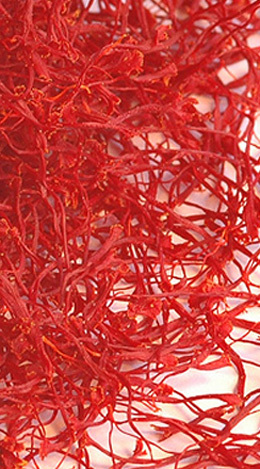 AWARD-WINNING, with a unique provenance and superlative quality, Norfolk Saffron conforms to ISO 3632 category I – the top international grade for saffron – and it has oustanding colouring strength and flavour. YOU ONLY need the tiniest amount of our exceptional saffron to colour and flavour your food because a little Norfolk Saffron goes a very long way! It’s perfect for all the classics like Cornish Saffron Cake, Bouillabaisse and Risotto alla Milanese.You can use it in a wide range of other sweet and savoury dishes too. 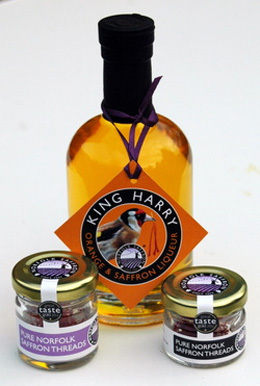 AS WELL as being saffron growers, we also make innovative and delicious products you won’t find produced anywhere else: 3-gold-star award-winning ‘King Harry’ orange & saffron liqueur, Smoked Saffron and Saffron Flour. WE KNOW from our customers and from professional chefs that Norfolk Saffron is very strong, potent and of the highest quality. INDEPENDENT LABORATORY testing shows that our saffron conforms to ISO 3632 category I, the top international grade for saffron quality. This puts Norfolk Saffron in good company – with the very best Spanish saffron (only premium Mancha grades and Coupe/Coupé grade, the grade above Mancha) and finest Iranian/Persian saffron (Sargol grade). Because of this, a tiny amount goes a very long way! Saffron that’s packed as only whole, intact threads. Saffron from only the most recent season’s crop, which guarantees you exquisite colour, flavour and aroma. Saffron with a unique provenance and terroir. The effects of our soil and climate, plus our picking and drying methods, determine Norfolk Saffron’s qualities. Saffron with zero air miles, that’s fully traceable and is produced in accordance with UK food hygiene regulations. CRUMBLE THE required number of threads into a small container, or ideally grind them in a pestle & mortar. HOW FINE you grind your Norfolk Saffron is up to you. The finer the saffron, the more uniformly yellow the food will be. Coarsely grinding or simply crumbling the saffron into pieces 1-3mm long looks great in pilaus as it gives a yellow background colour with hotspots of rich orangey-red. MAKE A saffron infusion by adding a small amount of pre-heated liquid (e.g. water, stock or milk depending on your recipe) to the container or mortar, then allow at least 20 minutes for the colour and flavour to infuse out. You can even leave the saffron to infuseovernight in the fridge if you like. ADD THE saffron infusion to your recipe. There’s no need to strain out the saffron bits unless you’re making something where crystal-clear appearance is important e.g. a jelly. NORFOLK SAFFRON HQ is in the Norfolk Coast Area of Outstanding Natural Beauty, on the edge of marshland of national conservation importance. It’s a privilege to see barn owls, hares, marsh harriers and other rare species regularly, so protecting our wonderful environment is extremely important. 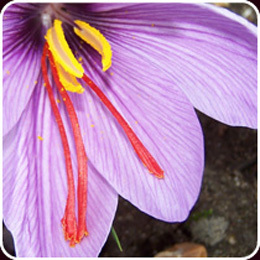 WE DON’T use herbicides, fungicides or pesticides on our saffron. We look after our soil properly, building up and maintaining fertility whilst preventing compaction and erosion. 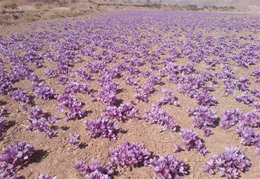 The saffron is grown in a crop rotation, which makes it sustainable. IN SPRING 2013 we secured a grant from the local Sustainable Development Fund for buying seed-sowing equipment. Alongside the saffron, we’ll be growing ‘pollen & nectar mixes’ to help bumblebees and other insects, and seed-bearing plants to help feed birds in winter. Every time you buy Norfolk Saffron, you’re contributing to the ongoing costs of this conservation work. 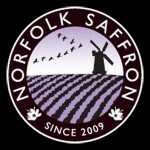 WHEN IT comes to packaging Norfolk Saffron, we aim to be as green as possible. We use recyclable glass jars rather than the usual plastic boxes. Since autumn 2012 all our saffron jar orders have used a new biodegradable packing product, specially made for us here in Norfolk using expanded maize, straw, dried flowers and leaves. Visit our website for more information and to order.